Jehovah Witnesses claim that in the Greek, this verse states that “…the Word was a god” not “the God”; that there is no definitive article preceding the word for God. Is the Deity of Christ Biblical?. At first this verse would seem to imply that Jesus is a created being, the first creation ever made; yet here again this supposition is contrary to the context of the verse because in the following verse it simply and clearly states that “all things” everywhere (including where He Himself dwells) were created by Jesus Christ, and further, that He is “the fullness of the Godhead” (Col. 2:9). Reuben was the firstborn of Jacob (Israel) according to Gen. 35:23; 46:8; and 49:3; presumably since the LORD God granted this child to Jacob and his wife, God would look upon Reuben as well as the firstborn. Yet in Scripture, God confesses others to be the firstborn, such as Ephraim in Jeremiah 31:9. Yet the status of ‘firstborn’ is not necessarily granted to the one who was physically born first. It represents a birthright, which can be transferred to another, as is the case with Reuben and the sons of Joseph (See 1 Chron. 5:1 as well as Gen. 48: 18-19; and a contrivance of relinquishing one’s birthright is seen in Gen. 25:29-34). The status of the firstborn is that of recognized preeminence and entitlement. In this way, Jesus is the firstborn of all creatures; that is, of all living things, be they of mankind or angelic kind, even of cherubim kind, Jesus is still the one of preeminence; “greater (better) than the angels” as in Heb. 1:4-6 (note in vs. 6: “firstbegotten”). Dr. Geisler points to this verse as well as one used by critics of the divinity of Christ Jesus. This verse at the outset would seem to imply that Jesus was the first being created; however once again, knowledge of the language is necessary – Christ is the “beginner” of the creation, not the beginning. The same Greek word is used of the Father in Rev. 21: 6 – 7. Jesus is the Author of creation, just as He is of our faith (Heb. 12:2). “I am trying here to prevent anyone saying the really foolish things that people often say about Him [Christ]: ‘I’m ready to accept Jesus as a great moral teacher, but I don’t accept His claim to be God’. That is the one thing we must not say. A man who was merely a man and said the sort of things Jesus said would not be a great moral teacher. He would rather be a lunatic – on a level with the man who says he is a poached egg – or else he would be the Devil of hell.” C. S. Lewis. Dr. Geisler supplies a list of criterion that evidentially from the prophecies of Scripture, proves that Jesus is the Messiah, and that the Messiah Himself would be the manifestation of the Godhead in human form (as previously demonstrated in this series). “To say that Jesus and His disciples claimed that He was God in human flesh, does not in itself prove that He is God. The real question is whether there is any good reason to believe the claims. To support His claims to deity, Jesus showed supernatural power and authority that is unique in human history.” Dr. Norman Geisler. 1. Born of a woman (Gen. 3:15; Gal. 4:4). 2. Born of a virgin (Isaiah 7:14; Matt. 1:21). * - 483 years after the edict had gone forth to rebuild the city and temple at Jerusalem, the Messiah presented Himself as King in those same streets of Jerusalem; precisely according to the prophecy made by Daniel. 4. The seed of Abraham (Gen. 12: 1- 3; 22: 18; Matt. 1:1; Gal. 3:16). 5. 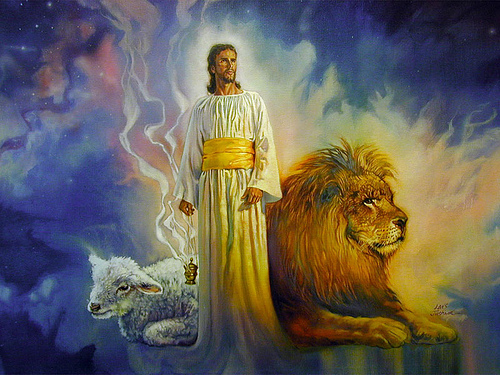 Of the tribe of Judah (Gen. 49: 10; Luke 3: 23, 33; Heb. 7:14). 6. A descendent of David (2 Sam 7:12; Matt. 1:1). 7. Born in Bethlehem (Micah 5:2; Matt. 2:1; Luke 2: 4-7). 8. Anointed by the Holy Spirit (Isaiah 40:3; Matt. 3:16-17). 9. Heralded by a messenger (Isaiah 40:3; Mal. 3:1; Matt. 3:1-2). 10. A worker of miracles (Isaiah 35: 5-6; Matt. 9:35). 11. Cleanser of the Temple (Mal. 3:1; Matt. 21:12). 12. Rejected by the Jews (Ps. 118: 22; 1 Peter 2:7). 13. Died a humiliating death (Psalm 22 and Isaiah 53; Matt. 27: 31). His rejection would involve enduring rejection by His own people (Is. 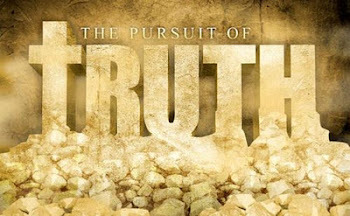 53:3; John 1:10-11; 7:5, 48); standing silent before His accusers (Is. 53:7; Matt. 27: 12 – 19); being mocked (Ps. 22: 7-8; Matt. 27: 31). * Having hands and feet pierced (Ps. 22:16; Luke 23:33). * Being crucified with thieves (Is. 53: 12; Mark 15:27 – 28). * Praying for His persecutors (Is. 53: 12; Luke 23: 34). * Piercing of His side (Zech. 12:10; John 19:34). * Burial in a rich man’s tomb (Is. 53: 9; Matt. 27: 57-60). * Casting lots for His garments (Ps. 22: 18; John 19: 23-24). 14. Being raised from the dead (Ps. 2:7; 16:10; Acts 2:31; Mark 16:6). 15. Ascending into heaven (Ps. 68: 18; Acts 1:9). 16. Sitting at the right hand of God (Ps. 110: 1; Heb. 1:3 [“standing” Acts 7: 56]). All of these prophecies were recorded by writers and prophets of the Old Testament several hundreds of years before the birth of Christ. The precision of the details are far too accurate to be coincidental. Surprisingly, there are still those that maintain that the fulfillment of these prophecies by Jesus were merely coincidence! In answer to this flawed allegation, we turn once again to Dr. Chuck Missler, who examines the mathematical (statistical) probabilities of Jesus fulfilling just eight (of the hundreds) of the prophecies of the Messiah and what the odds are – this is outstanding! Mathematics of Messiahship: Why do we believe Jesus is the Messiah? Check out Part 4 of this Five Part series; This presentation is based upon Dr. Stoner’s work, author of the book, Science Speaks. Probability of Jesus Christ Fulfilling Prophecy. “It is humanly impossible to make clear, repeated and accurate predictions 200 years into the future. The fulfillment of these prophecies in a theistic universe is miraculous and points to a divine confirmation of Jesus as the Messiah. “The very nature of Christ’s life demonstrates His claim to Deity. To live a truly sinless life would be a momentous accomplishment, but to claim to be God and offer a sinless life as evidence is another matter (something no religious founder has ever been able to do). Some of Jesus’ enemies brought forth false accusations against Him, but the verdict of Pilate at his trial has been the verdict of history: ‘I find no basis of charge against this man’ (Luke 23:4). A soldier at the cross agreed, saying ‘Surely this was a righteous man’ (Luke 23:47). And the thief on the cross next to Jesus said, ‘this man has done nothing wrong’ (Luke 23:41). But the real test is what those who were closest to Jesus said about His character. His disciples had lived and worked with Him for three years at close range, yet their opinions of Him were not diminished. Peter called Christ, ‘a lamb without blemish or defect’ (1 Peter 1:19) and added ‘no deceit was found in His mouth’ (2:22). John called Him ‘Jesus Christ, the Righteous One (1 John 2:1; 3:7). Paul expressed the unanimous belief of the early church that Christ ‘had no sin’ (2 Cor. 5: 21), and that the writer of Hebrews says that He was tempted as a man ‘yet was without sin’ (4:15). Jesus Himself onec challenged His accusers, ‘Can any of you prove me guilty of sin?’ (John 8:46)” – try asking your enemies that kind of question and see if they remain mute for more than a second or two! “Beyond the moral aspects of His life, the miraculous nature of His ministry is a divine confirmation. Jesus performed an unprecedented display of miracles. He turned water into wine (John 2:7), walked on water (Matt. 14:25), multiplied bread [and fish] (John 6:11), opened the eyes of the blind (John 9:7), made the lame to walk (Mark 2:3), cast out demons (Mark 3:11), healed the multitudes of all kinds of sicknesses (Matt. 9:35), including leprosy (Mark 1: 40-42), and even raised the dead to life on several occasions (John 11:43-44; Luke 7:11-15; Mark 5:35). When asked if He was the Messiah, He used His miracles as evidence to support the claim saying, ‘Go back and report to John what you hear and see: the blind receive sight, the lame walk, those who have leprosy are cured, the deaf hear, the dead are raised’ (Matt 11:4-5). “The special outpouring of miracles was a special sign that Messiah had come (See Isaiah 35: 5-6). The Jewish leader Nicodemus even said, ‘Rabbi, we know you are a teacher who has come from God. For no one could perform the miraculous signs you are doing of God were not with him’ (John 3:2). “To a first century Jew, miracles such as Christ performed were clear indications of God’s approval of the performer’s message. But in Jesus’ case, part of that message was that He was God in human flesh. Thus His miracles verify His claim to be true deity. Some months ago, I read a book entitled Did Jesus Rise From the Dead? The Resurrection Debate with Gary Habermas and Anthony Flew – I actually found a youtube presentation of this debate and you can watch this here. However, the entire debate from start to finish is almost two hours long! So you might well save this viewing for a later time. “The nature, extent, and times of these appearances remove any doubt that Jesus indeed rose from the dead in the numerically same body of flesh and bones [absent the blood] in which He died. During each appearance He was seen and heard with the natural senses of the observer. On at least four occasions He was touched or offered Himself to be touched. At least twice He definitely was touched with physical hands. Four times Jesus ate physical food with His disciples. Four times they saw His empty tomb, and twice He showed them His crucifixion scars. He literally exhausted the ways it is possible to prove that He rose bodily from the grave. No event in the ancient world has more eyewitness verification than does the resurrection of Jesus. What is so amazing is that both the Old Testament and Jesus predicted that He would rise from the dead. This highlights the evidential value of the resurrection of Christ in a unique way. Scripture reveals that the Messiah was to die (Ps. 22; Is. 53) and yet at the same time, reign in an enduring kingdom without end, from Jerusalem (Is. 9:6; Dan. 2:44; Zech. 13:1; also Luke 1: 30-33). This contradiction has but one answer, seeing how there are not ‘two Messiahs’ as Judaism has been fond of teaching; that is, that the Messiah after He had died, must rise from the dead. It is sobering to consider that during the last days, the Beast of Revelation is not alone on the world stage, but another Beast – the false prophet – is also given a prominent place of power. Could Israel for a time, be deceived by thinking that these are the two Messiahs long believed to come to the nation? Once the LORD Jesus died for the sins of the world, rose from the dead three days after His burial, and then came to His disciples, they asked Him if the kingdom would commence at that time; the assumption was a logical one, as the very office of Messiah includes the ruling of Israel as promised to David, the prophets and Mary, the wife of Joseph. The answer that the LORD gave was “It is not for you to know the times and the seasons which the Father has put in His own power” (Acts 1: 7). Our LORD didn’t deny that such a kingdom would eventually transpire; simply that the timing of such is directed by the Father and that until such a time, the disciples were to be focused on the preaching of the Gospel. “On several occasions Jesus also predicted his resurrection from the dead. In the earliest part of his ministry he said, “Destroy this temple [of my body] and I will raise it again in three days” (John 2:19, 21). In Matthew 12:40, he said, “As Jonah was three days and nights in the belly of a huge fish, so the Son of Man will be three days and nights in the heart of the earth.”“To those who had seen his miracles and stubbornly would not believe, he said “A wicked and adulterous generation asks for a miraculous sign! But none will be given it except the sign of the prophet Jonah” (Matt. 12:39; 16:4). After Peter’s confession, “he then began to teach them that the Son of Man must suffer many things . . . and that he must be killed and after three days rise again” (Mark 8:31). This became a central part of his teaching from that point until his death (Matt. 27: 63; Mark 14:59). Further, Jesus taught that he would raise himself from the dead saying of his life, “I have authority to lay it down and I have authority to take it up again” (John 10:18). Either there is confusion as to who is responsible for the raising up of Jesus again from the dead or this is a testimony to the Deity of Christ Jesus as a member of the Trinity (“Godhead”). See also Heb. 13: 20; also 1 Peter 3:18 where the Holy Spirit is accredited for the resurrection of Jesus. Some might suggest that under the Old Testament, one Savior is specified, but not under the New; such reasoning is inadequate and illogical; we are dealing with the proclamation of an Eternal Being Who knows all things from the beginning to the end; had their been a need for another Savior under the New Covenant, God would not here state “beside Me there is no savior”. Again, what we see here is reasonable Scriptural proof that there is indeed One Savior, and that His Name is Jesus Christ, who spoke to Isaiah in this 43rd chapter. It is interesting to note that in many of the modern translations, it reads: “He was manifest in the flesh, justified in the Spirit . . .” etc. Yet in the Greek, the word used is specifically ‘theos’ denoting ‘God’. Its especially glaring in the Westcott and Hort text where the Greek word for ‘he’ is transposed over the authoritative extant autographica in parchment remnants found. It can’t get any plainer than in the above passage, and a more detailed treatment of this verse, and the original Scripture in Psalms, quoted by Paul has been accomplished earlier in this series. As the Father is God, so likewise His Son who is “one with the Father” (John 10:30) is God as an echad (“united one”) Being. To express the fullness of God, such that no remainder of that which is God is left out, and incorporated into a human being, that human being must by matter of course be more than merely human or angelic for that matter. The image of God represented in a living Person and not some inanimate object – images captured in a mirror or a photograph or painting, and that image being exact (“express image” as in Heb. 1:3), must by definition be the manifestation of God Himself, not in part but in whole or “fullness”. In John 4: 24 Jesus declares that “God is Spirit” and yet by Divine unction and inspiration, Luke wrote in the verse above, concerning God, whose church was purchased, not with the blood of another, but Himself! Question: Since when did God who is Spirit, possess blood? Answer: When He was conceived by the power of the Holy Spirit in the womb of Mary! All of us who love and read the Bible, God’s Word are accustomed to reading the phrase, “God our Father” throughout the Scriptures; thus, even after decades of reading this above passage, I never caught what it was actually saying until just a few years ago! We who are born again of the Spirit of God, genuine Christians and considered saints in the biblical sense, are destined to become “kings and priests” unto Who? God - - and His Father! Thus this is attributing Deity to someone other than the Father, namely the one mentioned in context, in the previous verse, Jesus Christ the faithful witness! Also, besides “the first and the last” note that this declaration is made by the LORD the King of Israel but also “his redeemer, the LORD of hosts”, so even here in the text, we see not One, but Two Who claim to be the LORD! And yet the scripture goes on to say, “beside me there is no God”; thus a tribute to the truth of the trinity! But let’s go on . . . Here we see a slightly different rendering to “the first and the last” but it’s essentially the same declaration – that the LORD God is One Who exists in eternity, and is Himself the beginner and ender of all things within the space/time continuum. The Alpha is the first letter in the Greek alphabet; Omega is the last. The speaker here once again is God Himself (see vs. 5 and 7), and the designation of “Alpha and Omega, the beginning and end” is once again the appellation He ascribes to Himself. The same can also be seen in Rev. 22: 12-13. “The first and the last” . . . was dead? “and is alive”? Who then, can we conclude that Jesus Christ, the First and the Last, is – if not God (the Son) Himself? 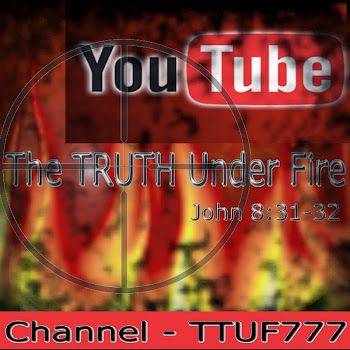 Also, last but not least, an article unedited and unabridged, posted on FROM the MIND of FIRE – The Deity of Jesus Christ by Dr. R.A. Torrey; this is an excellent article and not to be passed over!